Combine the Evolution 2 Bench with the Evolution-E2 cutter to create the ultimate precision cutting table. Now the Evolution-E2 cutter has the perfect bench. 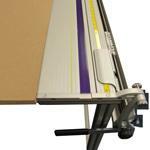 The cutter can be easily installed onto the bench without installing the worktop first. 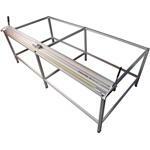 Only one ¾” thick worktop is required to bring the top level to the Evolution-E2 cutter’s base. Unique leg to beam fixing brackets apply incredible strength to Evolution 2 Benches. 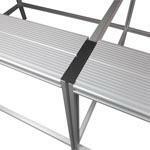 Adjustable feet allow the bench to be installed on uneven floors without compromising accuracy. Once the Evolution-E2 is installed, only one 3/4" thick worktop is needed to bring the cutter base level to the worktop. 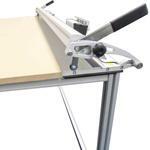 (worktop not included, 3/4" MDF or finished plywood recommended). Works specifically with the Evolution-E2 Cutter. 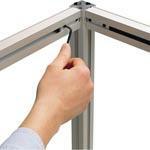 Fast and easy construction with necessary tools included.